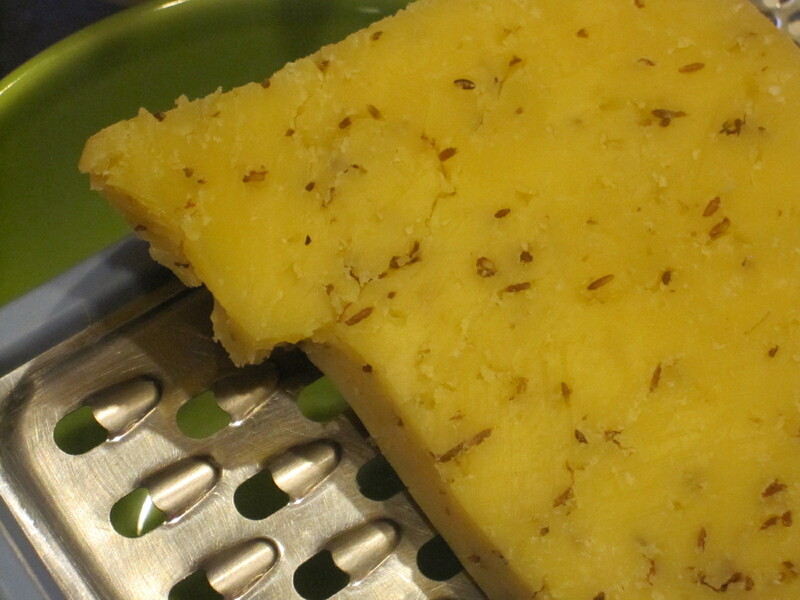 Easy Cheesy Rosemary Polenta | Laura's "Rules"
Polenta is toddler-wonderful, because it’s the right texture and density for Maya, but the golden slabs are also delicious adult food. It’s incredibly easy to make, though it does take a bit of stirring. covered in garlicky sauteed spinach, chopped fine. 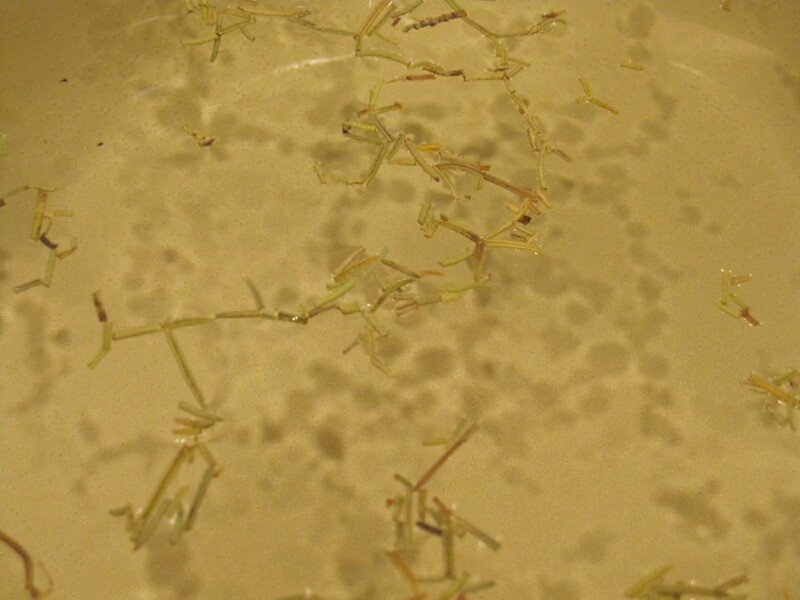 Heat the six cups of water in a large pot (I used an enameled cast-iron pot) and add the salt and rosemary. 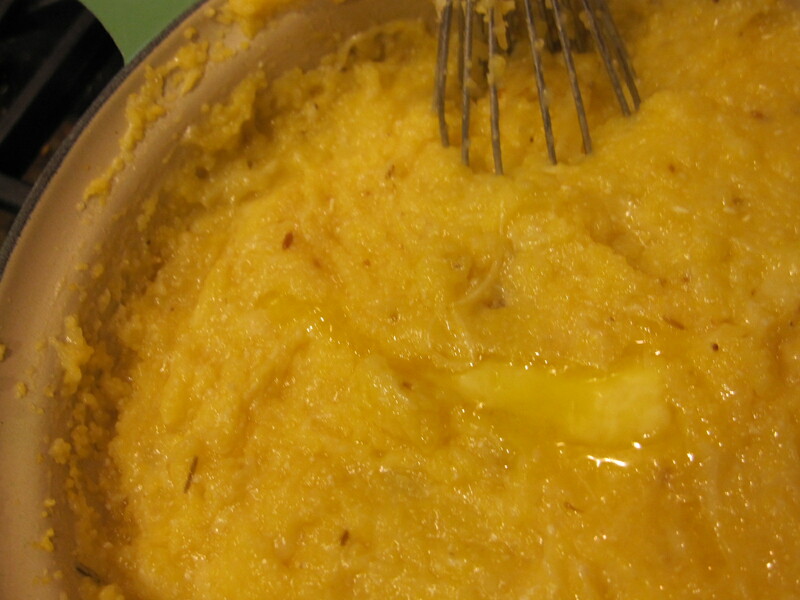 Whisk in the cornmeal slowly. 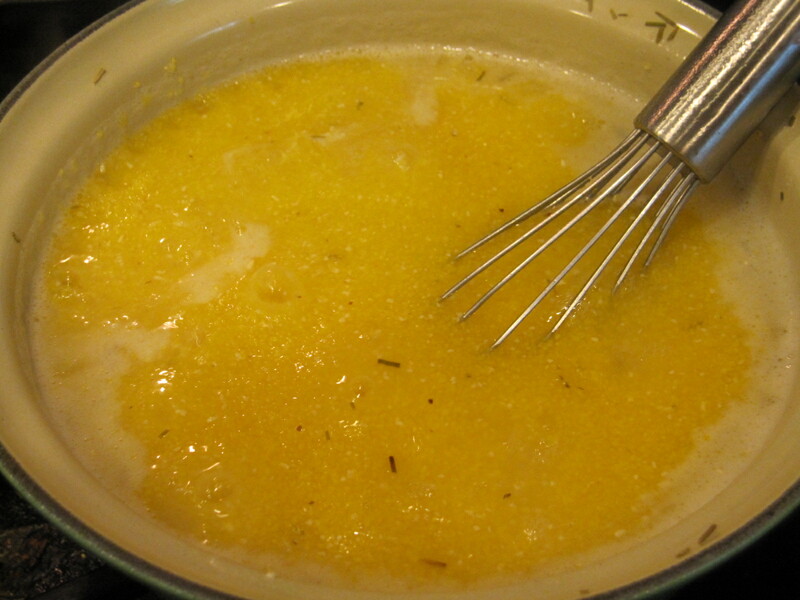 Reduce the heat to low and stir over the heat until thickened. Stir often, for about 20 minutes. 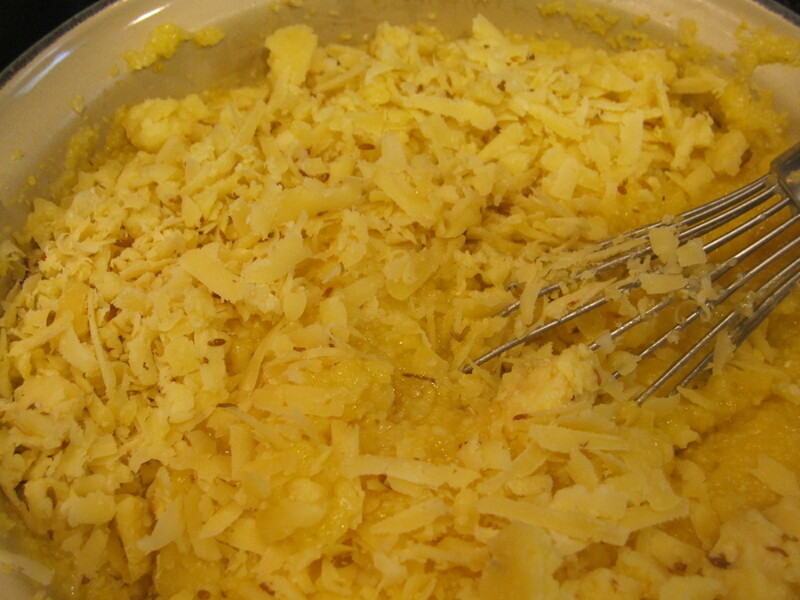 When formed, grate and add the cheese and butter. 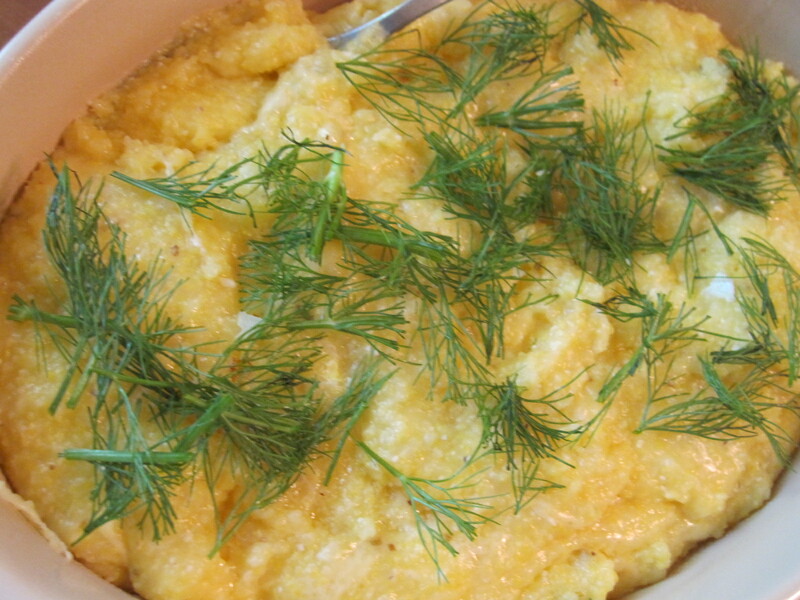 Modified from Basic Polenta, by Giada De Laurentiis. This entry was posted in Recipes & DIY and tagged Caramelization, cheese, cook, Cornmeal, easy dinner, environmental health, Fennel, food, Fried egg, Giada De Laurentiis, Gouda, health, healthy toddler, Italian, meal, mommy blog, mushrooms, organic, parenting, parents, Polenta, toddler food, toddler veggies, toddler-friendly food by Laura MacCleery. Bookmark the permalink.